Once you have arrived at a satisfactory number that is acceptable and that you can live with, you can agree to a settlement with the insurance company. However, in a sense, this figure has to be “backed into,” since before you can know what is an acceptable overall number you need to know what outstanding costs remain and need to be deducted from it. This is why many attorneys first (when they have a rough idea of what the settlement amount may end up being) start to negotiate with the medical providers to see if this could even be a possibility. Once the final outstanding medical amount is known, and the subrogation lien amount is known (and negotiated down), THEN one can start to understand what the actual bottom line “net amount” will be; the end figure you will walk away with. This is the number that, in the end, always matters most. Knowing who the best companies are and verifying they have been researched and reviewed by an independent source like Top-Companies is extremely helpful to you. 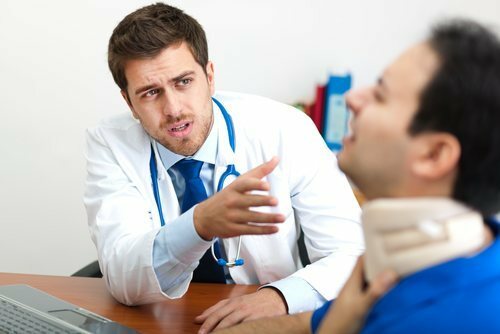 This is a stressful time in negotiating a settlement which will not only pay your medical bills but also compensate you for how your life has been altered due to this unfortunate occurrence in your life. Another important consideration is that many insurance companies are attempting to offer plaintiffs “structured settlements.” This is an interesting concept, but we should remember our previous principle and precept; that insurance companies do WHAT IS BEST FOR THEM 100% of the time. Knowing that, it is recommended for a variety of reasons to shy away from a “structured settlement.” Essentially, a structured settlement is where the insurance company gets to settle your claim, but mostly pay you little or no money now. They promise yearly, quarterly or monthly payments against the principle. It goes something like this: if they “settled” your claim today for $100K instead of paying you this, they would pay you “prevailing interest rate” [of maybe prime rate plus a couple percent, so say 6% yearly]. As such, they would owe you $6,000 every year or $500 per month. This may seem good to some people, and it might be for someone looking for a steady income, but this assumes that they will not go into bankruptcy (it does happen periodically) and that you cannot get a better rate than the 4% – 6% they might pay. This is a pretty modest return, and usually either the market or property will out perform these results. Further, there may be other business investments one could engage in, or they could take care of personal or family obligations if their money were not “locked up.” Some people consider such a settlement arrangement, if the settlement involves a child, or is only for a set number of years and then the entire principle is paid over. The reason insurance companies like, and push for, these types of settlements is evident; they get to keep their own money and their standard 20% – 30% returns, meanwhile paying only a small portion of that interest percentage to the injured party. A large majority of people ignore this and demand the full amount upon settlement, and this seems advisable. Obviously, then, your negotiation skills on the one end are as important as your negotiation skills on the other. The front end (the insurance company) money is only half of the equation. The back end (the money owed to medical providers and subrogation liens) is just as important and just as much a factor in what you will ultimately net. Thus, at this point in the process things may stall until you can make all of the “numbers work.” Likewise, you need to be just as patient here (in negotiating the back end) as you do in negotiating your settlement with the insurance company. Both must be integrated to come up with the best “whole” overall solution which nets you the most money. Taking the time to negotiate the back end, physicians and subrogation liens can be lucrative and net you thousand of dollars more, if one is patient. At this point not only is your patience a virtue but can be your best ally. All medical providers want to be paid, as soon as possible. There are some companies which even buy doctors’ “collectibles” (money they are owed from patients, insurance companies, etc.) at a discount, say 50% on the dollar, just because the doctors get tired of waiting and only want their cash. Remember time is a dominant element (and weapon) used by the insurance companies with significant effect. You can use this time element in your favor as well. Mostly letting the medical providers know that the matter MAY be on the brink of settlement [never let them know an issue IS settled, as then they begin pressing for their money and wanting to know the amount of the settlement, so they know how much to reduce bills, etc.]. If only you could get some help from the respective medical providers, you could bring this matter to resolution. This, then, gives them the incentive and motivation to negotiate their bills down and puts the onus on them. If the numbers only do not work, sometimes just sitting on things and letting time tick by, can help push the physicians and the subrogation people to stop being ridiculous. Insurance companies know the power of this concept, of dangling a figure out there and then just waiting. They let time do the psychological work of helping to turn around reluctant plaintiffs. The same can, and DOES work with medical providers. Letting them know that there is a certain amount you could pay right NOW (based on the offer) if they could compromise their bill. Otherwise, let them know you will likely have to wait until litigation happens to be able to get the full amount to pay the bill in its entirety. It is up to THEM if they want to remain. If the proposed offer is not particularly that great, and you would be “netting” just a moderate amount of money, there is another technique that is sometimes used to get the doctors in line and get them negotiating their bills. Many times, instead of playing “hide the ball” and not telling the doctors that one is netting a certain amount of money; attorneys will in more moderate cases show a complete breakdown of ALL of the figures, even how much YOU are clearing. This works in a couple of ways. First, it shows the willingness to be honest. Second, it shows that no one person here is “getting rich” (including the plaintiff). Third, it proves that EVERYONE is taking a reduction and IDEALLY, the same reduction percentage. This would all be reflected in your breakdown. This might show that the amount being offered is a $25K policy limit. Next, that the overall medical bills were $15K, and the lawyer’s fees are $7,500 and that the plaintiff would only receive $2,500. This is obviously unfair. So what is proposed is something like this: That all parties, including the attorney (if one), is willing to do a 1/3 reduction of the bill ACROSS THE BOARD and that now the physicians (each taking a 1/3 reduction on his particular bill) would total $10K in meds, and the attorney fee is reduced to $5K and the client nets $10K. Something like this shows no one party is getting particularly rich, and that all are sharing in the reductions equally, etc. These type of proposals are almost never turned down. It is just that physicians do not want to be the only ones making cuts or concessions, which is usually thee case. It should be remembered that when seeking cuts from doctors, that while they have a right to make an income, essentially most of what they make is “profit.” It is not like they are working on an hourly wage, or just barely getting by economically. They make good money and are paid mainly for their knowledge and expertise. Further, most of their prices are somewhat inflated to make up for the fact that there will be people who do not pay them, or only pay them half, and for insurance companies who always seek reductions. It is cost spreading. Insurance companies know this all too well and are the ones who drive the hardest bargains with doctors. For instance, $1,300 MRI’s become $250 payments; $500 procedures are paid at $85, etc., and the doctors accept this all day long. Therefore, to a great degree, they expect (and build into their payment structures) that there will be reductions in their billings. So, you should negotiate with them in the toughest way you know how, while still being fair – like showing them that ALL of them will be taking reductions, as well as the attorney and you as plaintiff; not just a few of them. This goes far in placating them and helping you to resolve a severe matter. There is more to claims handling and successful claims resolution than only knowing the rules, obtaining the policies and declarations page, etc. There are strategies for successful claims resolution, and for optimizing the overall value of the allegation, as well as resolving the matter before trial. Many lawyers know the rules; though less know strategies of how to optimize the case in every respect. Even fewer still are truly successful negotiators. They simply DO NOT teach “negotiation” in law school. Negotiation is often a skill learned from experience alone. There is no substitute. Many successful negotiators liken the process of dealing with insurance companies to playing poker. Much of the process is knowing when to hold or fold your hand, as well as when to press your bet. These are critical skills that are difficult to learn, and somewhat must be experienced first hand. Regardless of this, there is still information to be learned from studying claims handling strategy and negotiation. The important point is that insurance companies can be beaten in a couple of ways: they can be beaten by the “cards” you possess (the “cards” that are truly in your hands), or by the “cards,Either way” the insurance company THINKS you have in yEither way,will allow you to prevail over them. Helping them beat themselves mentally, is just as good as prevailing over them any other way. As many successful sports teams will attest, “winning is winning, regardless of how it is accomplished.” The more pragmatic and practical negotiators and attorneys heartily agree with this. As such, one need not lie. However, often as much in a claim is achieved with what IS said, as with what is NOT said. Some of the initial strategies have already been outlined to you. The initial phases of a claim should be about YOU gathering data and information to help you later. Demand everything (or as much as you can get) in writing. Some insurance carriers are ethical; but many more simply are not. Do not believe everything (or really, anything) you hear. These are basic strategies that should be followed, but there are certainly more. Sometimes, letting insurance companies know information that you have (or you know about) can be of benefit to you. For instance, simple things like information or knowledge you might possess; such as the information that you as the insured (the 1st party) happen to know about insurance “bad faith.” Perhaps also that this “breach of the covenant of good faith and fair dealing” (or “bad faith” as it is known) is contained expressly in the Uniform Commercial Code (UCC), state laws, insurance codes, and in all contracts as well, and can give rise to large punitive damage awards. Things such as this, to let them know that YOU KNOW certain strategic information which could be used against them. 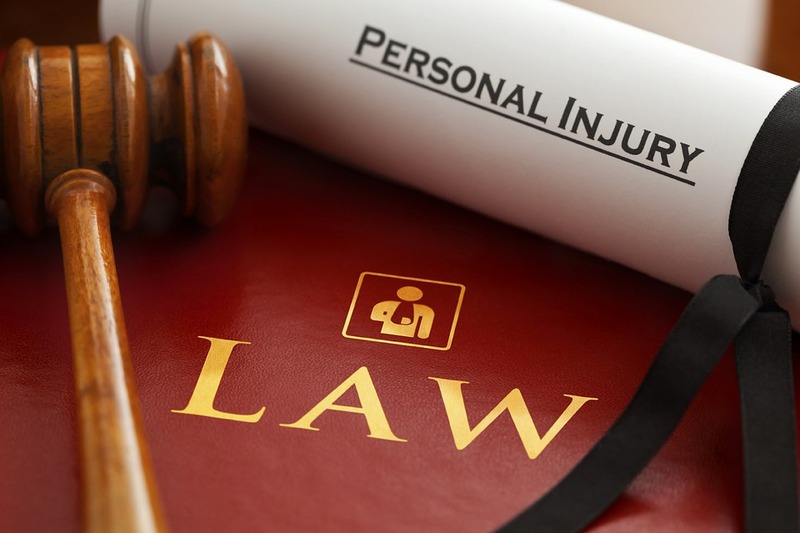 Another strategy that can be used with an insurance company, is to let them know nonchalantly that you have spoken with an attorney (or two) regarding your case, but that you don’t really like lawyers and do not really want to hire one if it can be avoided. This subtly lets them know that YOU know that you have a good case; that lawyers are out there who want this case and that they are kind of “on deck,” and waiting to sign on but you have not brought them aboard yet. This can sometimes help you as well, but NOT if done as a threat; be very nonchalant. Insurance companies hate lawyers and lawyer involvement. Generally, they make the average value of claims go up several times the normal amount, and the insurance companies also know that if an attorney is involved this will likely end any access to you, including them taking statements from you [and possibly catch you admitting something or making a mistake]. The insurance company knows if they treat you poorly or make you a bad offer, they could soon be facing a lawyer. If your insurer is unfair with you, lies to you, misleads you, or otherwise does improper things; then you can sue them not only under a contract claim for breach of contract, but also for “bad faith.” Very few plaintiffs are aware of this. You might also let slip that you know that while you may be capped at trial for the damages only of the insurance contract amount itself; the attendant bad faith claim has no such limitation. You could sue under this cause of action for punitive damages, and this can be any amount the jury deems appropriate (thousands, or if egregious enough, millions of dollars). Further, such awards are not covered by normal policies and would have to be paid from their insurance company profits, revenues and/or general operating funds. Basically, much like an “excess verdict” is paid. This is powerful knowledge; and knowledge not generally known by most plaintiffs [or even some lawyers]. This can definitely be of benefit to you, as the insurance company would have to view you as a distinct and real threat to them, if you know your rights like this. Insurance companies hate paying “excess verdict” amounts, amounts above and beyond their policy limits. Excess verdicts are amounts that are awarded at trial, which are beyond policy limit amounts. This often occurs because insurance companies refuse to settle claims, which then proceed to trial and a large verdict is awarded. At that point, because the insurance company failed to settle the claim when they could have and let it proceed to trial; there really ARE no “policy limits” any more. Failing to pay this “excess verdict” and exposing their own insured to this judgment amount, would THEN expose the insurance company to a bad faith lawsuit and a punitive damage claim from their own insured. Just as insurance companies hate paying excess verdicts, they likewise hate bad faith verdicts — for similar reasons. Paying either must come from general operating revenue or profits from the insurance company, not from insurance policy “reserves.” Generally managers get demoted or fired for such decisions and refusals to settle. These verdicts are definitely a sore spot for insurance companies. As such, in a subtle way, letting them know at the appropriate time that YOU know about these things and how to utilize these causes of action if the need arises.